The M120 uses a highly accurate sensor chip to measure relative humidity and temperature. With dew-point and wet-bulb measurements, it is perfect for many industrial applications, laboratory and other types of work environments. The M120 is durable, reliable, and easy to use. 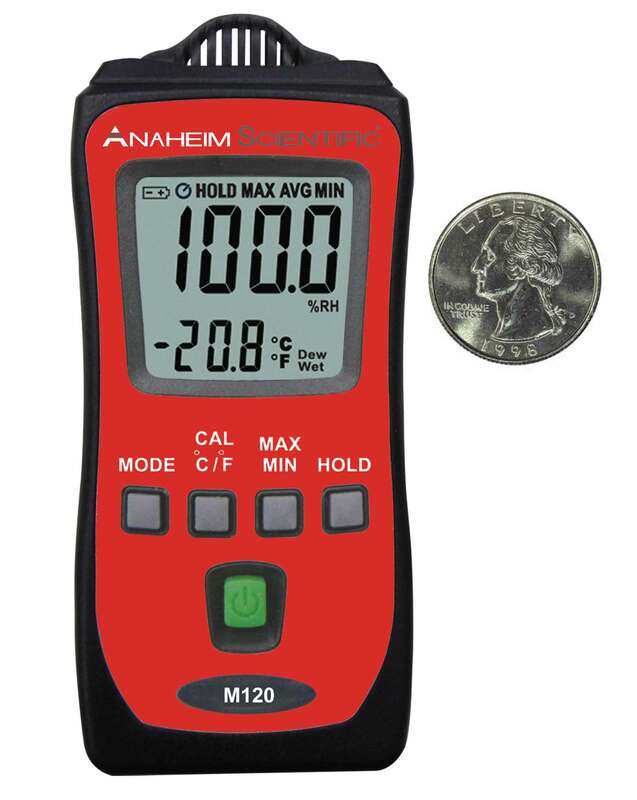 Please click here to contact our distributors directly to find out where to buy the M120: Mini Temperature/Humidity Meter.